The flexible microphone bar for microphone stands. Two moveable bars position the microphone where ever you would like it. Each bar is fitted with a captive knurled screw. 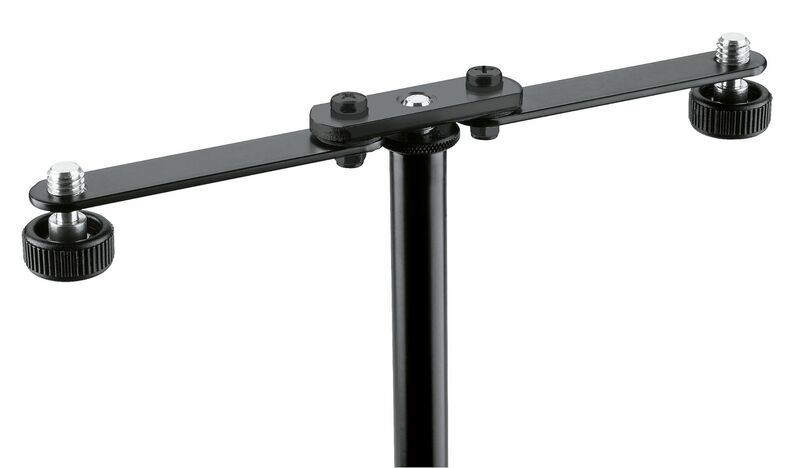 The entire bar can be screwed onto all standard microphone stands with a 3/8" threaded connector.